Warm days, a sprinkling of rain and plenty of golden sunshine means that our gardens are blooming with new growth – so it’s the perfect time for a Garden themed Bream Creek Farmers Market! Our next Market is this Sunday 5 October and will feature a native plant giveaway, hot composting demonstration and gardening discussions. This exciting plant giveaway has been coordinated by the BCFM Committee, using money raised in February 2013 – at the first Market to be held after the Dunalley bush fires. The community was inundated with support – people came from far and wide to support the people of Dunalley and Tasman Peninsula, to buy directly from the farmers, growers and makers and to come together as a community. The money raised through these generous donations has been used for a native plant giveaway to be held at the October Market. Dave and Zoe Judge from Frog Hollow Nursery have grown native seedlings which will be given away on Sunday. President Helen Whitaker says, “we are hoping that these native plants will be used in the continued re-vegetation efforts of our local area – but we’d also love members of the wider Hobart region to be able to plant a tree and know that they are doing a wonderful thing for the environment”. Helen adds, “This money was generously donated by Market patrons immediately after the fires in 2013. People came from far and wide to show their support for the Dunalley community and we are thrilled to be able to use this money in such a practical way”. The BCFM Committee have also been hard at work preparing a hot compost heap at the Showgrounds, which will be used as part of a hot composing demonstration on Sunday. Claire Burnett from Groovy Native Permaculture will demonstrate the hot composting process and this quick method is easy for home gardeners to manage and is ready to use in just 6 weeks. 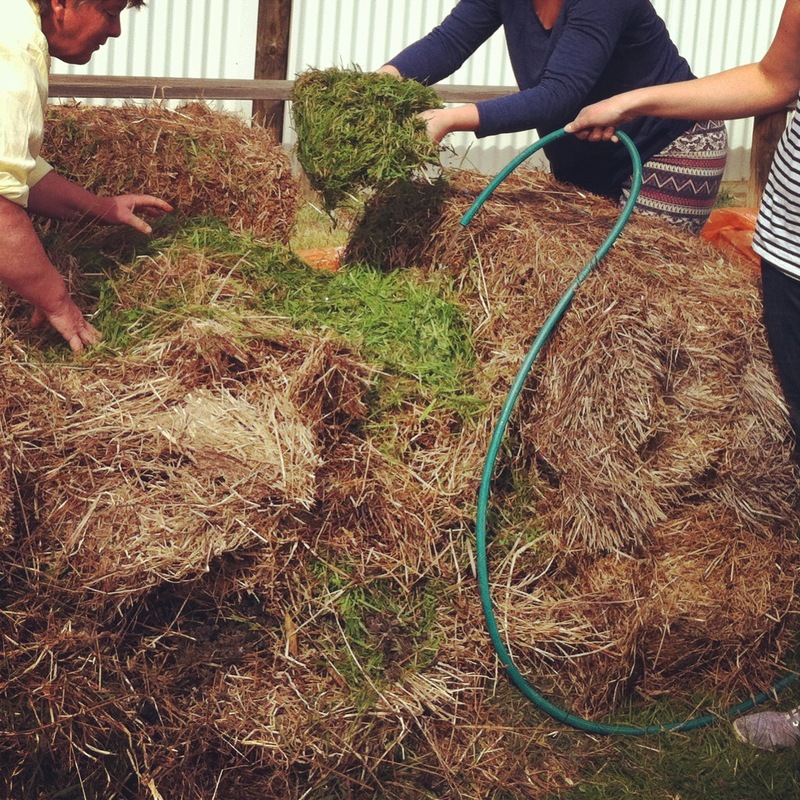 Some materials required for hot composting, such as hay bales and manure, will also be for sale at the Market. Preparing the hot compost heap for next Sunday’s demonstration. Dave Judge from Frog Hollow Nursery will also talk about how he began gardening and how it has become a passion for him, and his family. The Frog Hollow Nursery has become one of our most popular stalls at the Market, with Dave and Zoe also providing generous and practical advice on growing and planting. Dave will also provide some advice for those who are keen to start gardening, but not sure how to begin. 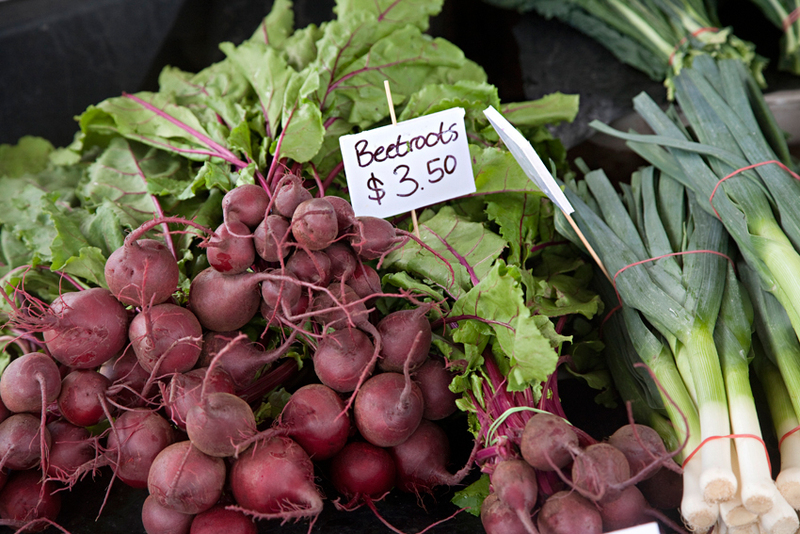 The Market is on Sunday 5 October, from 9am to 1pm at the Bream Creek Showgrounds.